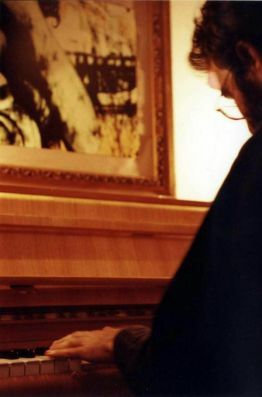 In August 2006 Tiago is given a piano and starts working solo, releasing his first record, Crepúsculo, in the following weeks. Crepúsculo is a record empty of premeditation, whose essence alternates between the accidental beauty and the intentional risk of improvising. Music with its sphere of gravity in the piano, from where static melodies and immaterial abysses burst. Recently he released Noite/Nuit, split with the French artist SRX, available for free download through Merzbau. He is now in the process of creating with countless new elements in his music. Once upon a time there was only room for lonely piano, now there is room for guitars, for Tape Music or even for hypnotic keyboards.